Congratulations to Anne Marie and Tudi, the winners of my 2nd Anniversary Giveaway! I've already emailed for addresses so they will be receiving fun little packages in the mail sometime next week. 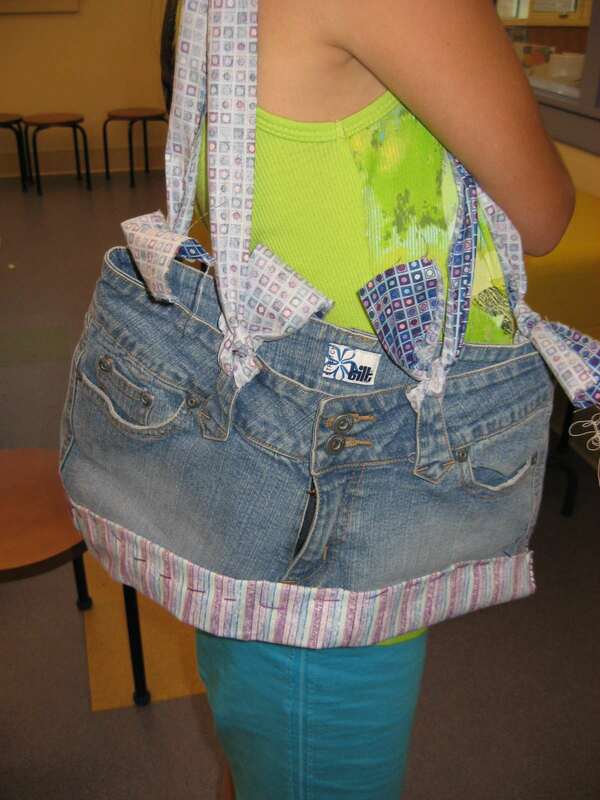 Last night was the first of three 2-hour classes I am doing at our children's library this summer on Upcycling Jeans. It was a smashing success and all the girls in the class seemed to have a really good time working on their projects. 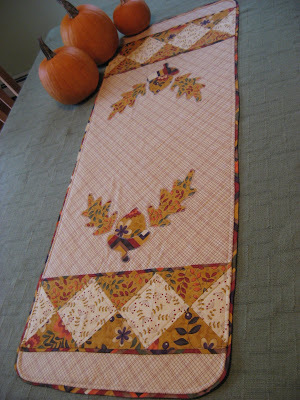 I think their favorite part of the class was when I showed them how to rip fabric to get straight strips...it's good therapy! C made this bag using an old pair of jeans and some of the leftover scraps from my charity quilt that I recently finished. I was glad I brought lots of fabric for them to choose from. It was great fun seeing what caught their eyes. And her sister A also seemed to like that same fabric for her bag, only in the purples and blues. I think F was going for a Minnie Mouse look to her tiny little bag. 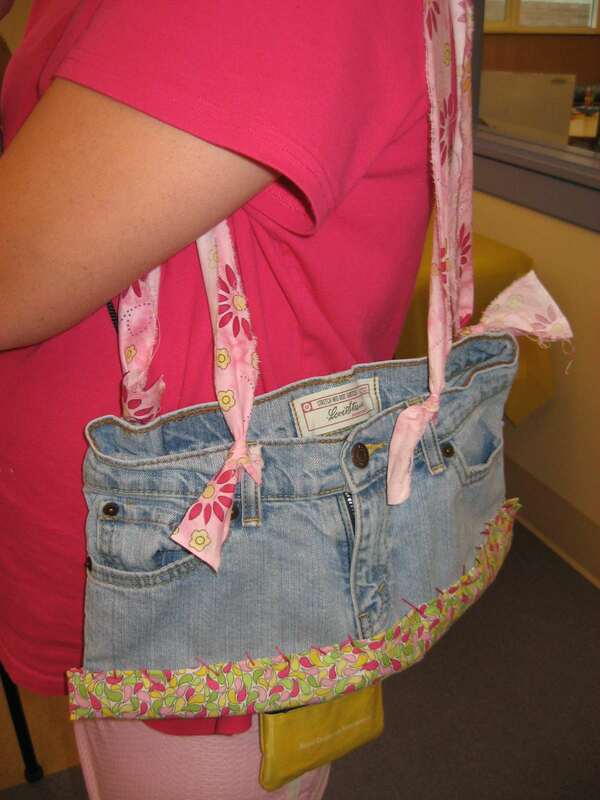 She brought in the itty bittiest little pair of jeans to use, so naturally her bag ended up being itty bitty too. It suits her just fine! Next week we'll be using the leftover legs of the jeans to make two other projects and they will also be learning how to use yo-yo makers which they will be able to keep for themselves. 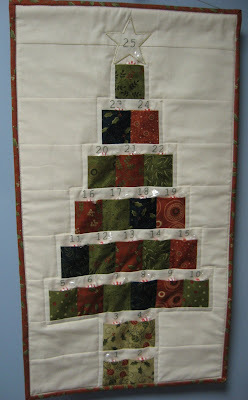 I have a feeling my pile of scrap fabric won't last too long once they find out about making yo-yos! Fun, fun, fun! Congratulations Anne Marie and Tudi! Awwwwwwwwwwww the girls did a lovely job - I bet they'll have an extra bounce in their step when they go home! Bags looking great MG! I'm sure the girls had great fun making those!!! 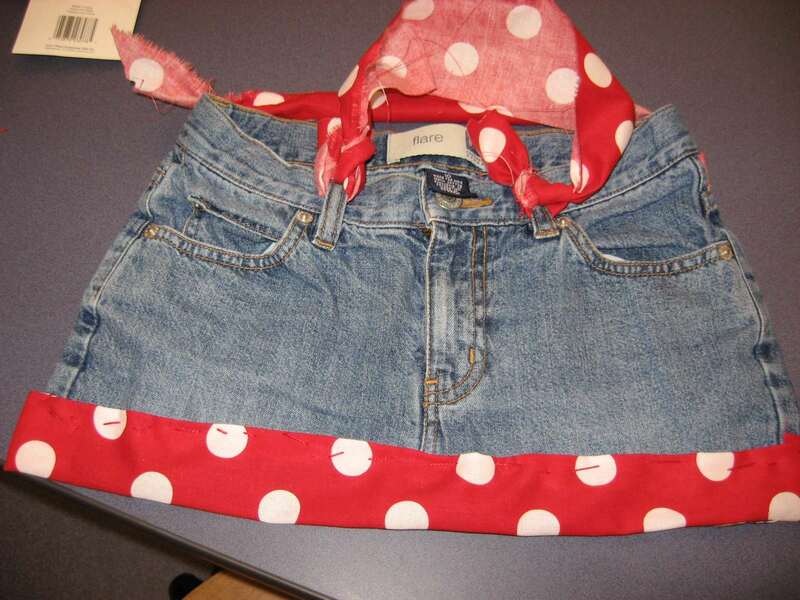 I made one of those bags out of my son's jeans he wore when he was 3-4 years old... too cute! Very cute bags but these girls! I'm sure it was a lot of fun.